As mums, we’re always on the look out for ways to make our lives easier. 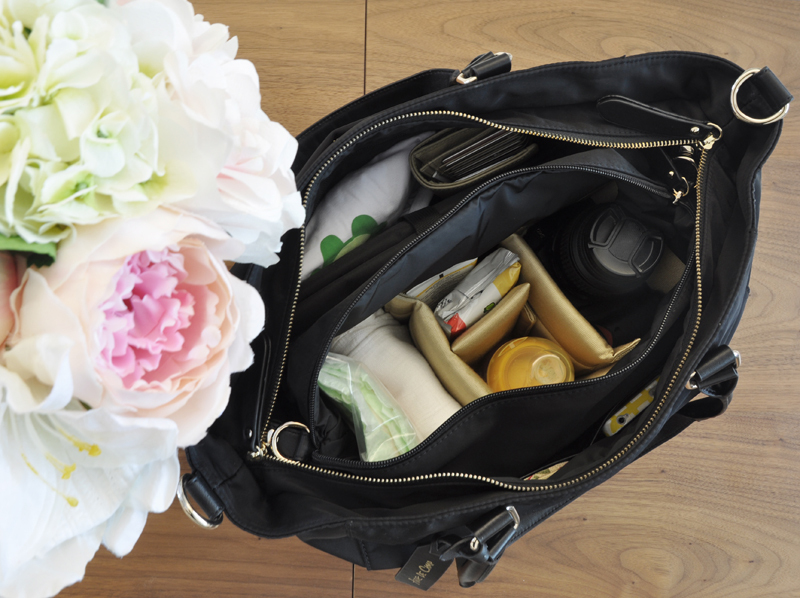 This week, one mum’s hack of how to free up space in the diaper bag and prevent incessant rummaging around for items that they are looking for, was the talk of the Internet. The hack by Liz Burchiel, also known as The Painted Dragon, is a simple one that just uses headbands, but it looks like mums really find it neat, given that there are more than 11,000 comments on the post. By attaching a pack of wet wipes to the top of a wipes box, you free up space in the rest of the box that can be used to store a diaper changing mat, extra diapers, diaper cream and plastic bags for dirty diapers. As an added bonus, it does double duty and organises your belongings neatly so you don’t need to dig around the bottomless pit that seems to be your diaper bag when you need something. Just place the stuff inside the box in the order that you would use each item, with the first one you used placed inside last so it’s on top and the next time you are out and need to change your baby, whip the wet wipe box out, and you’ll be all ready. Camera bags usually have plenty of partitions so that you can easily change the lenses that they you need for your camera. Use these partitions to organise the things in your bag so you know where everything from baby’s snacks to the spare change of clothes is instinctively. 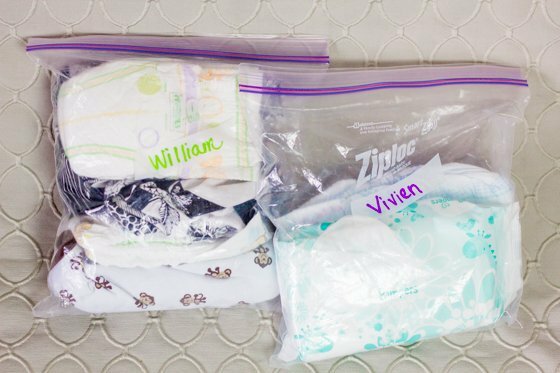 The next time you need to change your bub’s clothes, all you need to do is pull out a ziplock bag and you’ll have what you need exactly. No more trying to find the pants that will match the shirt in your hands. Roll the clothes and squeeze out all the air to save more space. 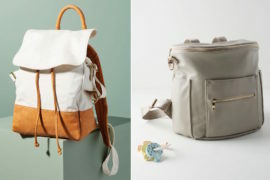 This is especially useful if your diaper bag is meant for more than one child. Label the ziplocks accordingly for less confusion. 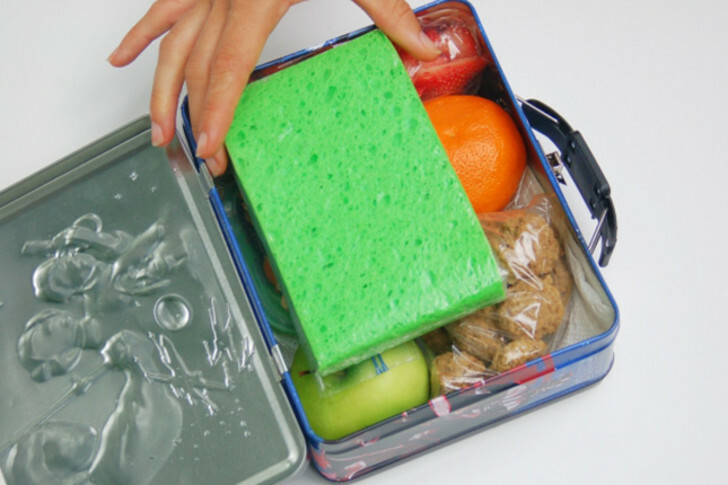 If you don’t want germs to land on them, place them in plastic containers so they remain safe even if you drop them accidentally. Always carry a few as babies are known to pluck them out of their mouths and throw them around, and you wouldn’t want to be stuck without a pacifier to soothe them when they burst into a crying fit. Can’t find an ice pack at home to keep the food/snacks/milk in your bag cold? Here’s a quick fix: soak a sponge under water and freeze it, and it’ll work as well as an ice pack. 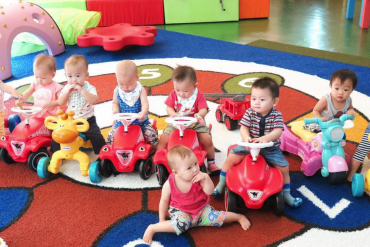 Your tots are some times the darndest things and when they’re in a mood they won’t want to play with the usual toys you pack for them, and would rather handle your belongings to be entertained. Get an old wallet and fill it with expired cards that you no longer need. It takes up very little space in your bag compared to a regular toy and little ones will be occupied pulling out and slotting in cards over and over again. When you go out alone with your child, the last thing you want is to be handling another bag of your things. Instead, pack your things, such as your purse, lip balm and tissues, in your own pouch. Better yet, pick a pouch with a long strap that you can tie around the handle of your bag, allowing for easy retrieval of your pouch for the items you need.